LAST YEAR’S EXCELLENT Samsung Galaxy J5 proved to be one of the few worthy competitors to the Motorola Moto G series. It was a top-notch phone, hitting all the right buttons at a great price. Since then, a whole new generation of budget competitors has appeared, challenging not just each other but also more expensive flagship devices. Now the Korean firm has hit back with a new and improved J5. It can’t be faulted on aesthetics. At first glance, it looks a lot like Samsung phones of old, right down to the button placement and the home button in the centre, which now does double duties as a fingerprint reader. Flip it over, however, and you’ll notice some changes. Samsung has got rid of the chunky camera bump of last year’s model, so the rear camera now sits flush with the case. This is an entirely welcome change: it now sits nice and flat on your desk, and there’s less of a risk of scratching the lens when you put it down. The J5 also now has an all-metal uni-body design; this feels much nicer in the hand than the plastic casing of its predecessor, with rounded, chamfered edges helping it to sit snugly in the palm. It’s exactly what any budget-minded smartphone user would want: a flagship feel at a fraction of the price. If you’re hoping for USB-C quick charging, you’d best look elsewhere. A traditional Micro USB socket is located on the bottom edge, to the left of the (thankfully still present) 3.5mm headset jack. On the left edge you’ll find the volume rocker, and on the right the power button sits beneath the solitary speaker grille. The Galaxy J5’s 1,280×720 display sets it apart from other low-cost phones. That sub-Full HD resolution might sound low for a 5in screen, but what it lacks in detail it more than makes up for in vibrancy: it uses Samsung’s excellent Super AMOLED panel, and it’s an incredible screen for the price. As usual with OLED, the contrast ratio is perfect and colors look amazingly rich. The panel covers 98.5% of the sRGB color gamut, which places it well in front of its budget rivals, especiallyMotorola’s Moto G5 Plus, which managed only a paltry 73.4%. Maximum brightness isn’t quite as dazzling as some other phones, topping out at just under 300cd/m2. As long as you’re not trying to use it in direct sunlight, though, you won’t be squinting at your Facebook feed too often. Budget phones tend to use mid-range CPUs, so performance can be a weak point. Aside from the Lenovo P2, it’s hard to think of anything around the mark that hasn’t at least slightly faltered in our usual suite of rigorous benchmarks. 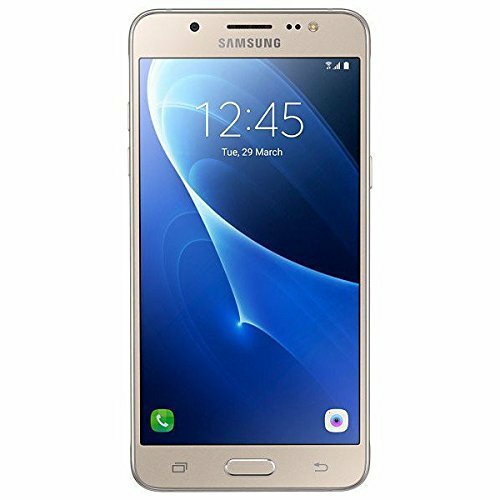 Still, the 2017 Galaxy J5, with its dual-core Exynos 7870 and 2GB of RAM, proved a respectable performer. In Geekbench 4’s multicore test, it scored 3,736; that’s almost a 50% improvement over last year’s model, bringing it ahead of the P2 and only slightly behind the Moto G5 Plus. It impressed in single-core performance, too, scoring 800; again, competitive with its closest rivals. The J5 is also capable of playing most Android games you throw at it, too. Its low 10fps score in GFXBench’s Manhattan 3.0 onscreen test (and 5fps in the offscreen test) indicates that while it stumbles on the most demanding 3D scenes, it has no problem with everyday games, and we were blasting away enemy ships in Sky Force: Reloaded without a hiccup. Battery life is also far improved over its predecessor. In our standard battery test with the screen set to 170cd/m2, the 2017 Galaxy J5 managed a superb 18h 26m away from the wall socket. That’s nearly two hours longer than Samsung’s flagship Galaxy S8, although Lenovo’s P2 still beats it at 28h 50m. The camera is another area that often suffers in cheap phones. Last year’s J5 was let down by a tendency to overexpose images, and on paper this year’s model doesn’t look much better, featuring a similar 13-megapixel resolution with only a slight aperture bump to f/1.7. In use, though, it turns out to be a marked improvement over the old model. Images are clear and well defined, with outstanding color reproduction and very little visible noise. Low-light situations were handled very well, while daylight shots were packed with detail. Even tricky subjects such as foliage were also captured with outstanding clarity. No doubt about it, this is a much more versatile camera than we’d expect for the price. Samsung’s updated Galaxy J5 does everything you could ask for. It’s a solid performer next to the competition, its battery life is excellent, the new design is top-notch and its camera is far improved over last year’s effort. The only issue is that price hike. Last year’s J5 felt like a real bargain, despite its limitations. The new Galaxy J5 is a stronger phone in almost every way, but at we’re starting to creep towards mid-range territory, and that’s a fight the J5 can’t win. Overall, though, it’s still a fantastic deal: a brilliant smartphone for less than half the price of the popular flagships. Screen: 5.2-inch HD 720 x 1280 pixels (~282 ppi pixel density) Super AMOLED, 16 GB ROM, 2 GB RAM, microSD, up to 256 GB (dedicated slot) ,Quad-core 1.2 GHz Qualcomm MSM8916 Snapdragon 410, 13 MP Main Camera f/1.9, 28mm, 5 MP Front Camera, Android OS, v6.0.1 (Marshmallow). The box contains: Your new device, USB cable, Charger , Earphones, Documentation. American Model: This Product is only compatible with SIM-Card issued from a mobile operator with the Americans.North,South, and Central Americas and the Caribbean. For International SIM cards Use : A cumulative call over five minutes must first be made with the sim card from American Operators. Please check if your GSM cellular carrier supports the bands for this model before purchasing : 3G HSDPA 850 / 900 / 1700(AWS) / 1900 / 2100, 4G LTE band 1(2100), 2(1900), 3(1800), 4(1700/2100), 5(850), 7(2600), 17(700), 28(700).